Was my app trying to tell me something? Seeing a pattern here? Kinda rough, but I felt like I was on to something. Still, I wasn’t sure I was ready to follow this path. Resistance continued to block my way. When my brainstorming energy ran out, I still had a few minutes before my appointment. 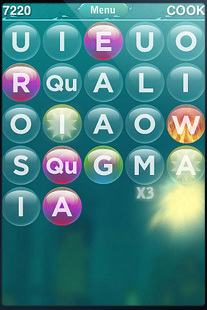 I debated: Read my book club book or play the WordPops game I’m a bit addicted to? I opted for the app. OK, OK, I get the message. Thanks, Universe. A few weeks later, when the title Grief, Interrupted popped into my head, it all came together. It started off as a writing assignment, and it has become so much more. This is a project I am connecting to with love and compassion and gratitude. Thank you to all who are on this journey with me so far, and to the many more I hope will join. Please spread the word to anyone you think will connect with this, too.